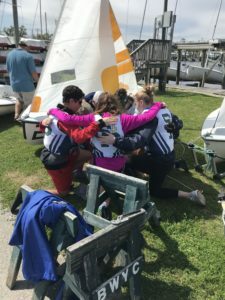 The St. Patrick Catholic High School Sailing Team placed second in the state of Mississippi Saturday, March 10, and Sunday, March 11, during the Mississippi High School Team Race Championship. The Championship was held at the Bay-Waveland Yacht Club. Skippers were Mallory Edwards (junior), James Edwards (freshman), Clayton Stoddard (sophomore), and Teal Salloum (sophomore). 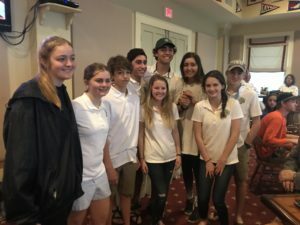 The crew were Mary Ellen Edwards (seventh grade), Claire Wingfield (freshman), Teal Salloum (sophomore), Emily Miller (sophomore), Gabrielle Miller (senior), and Robbie Clisby (eighth grade).